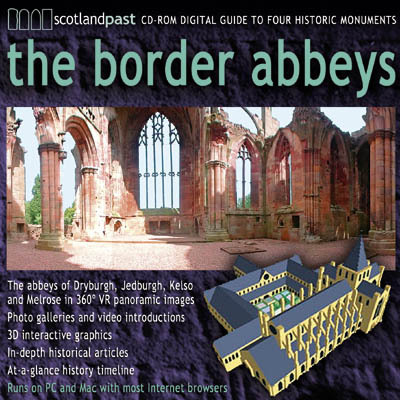 THE story of the Border Abbeys starts during a time of great change, ends during another, and passes through some of most turbulent times of Scotland's history. The abbeys of Dryburgh, Jedburgh, Kelso and Melrose have genuinely been through the wars since they were founded in the early 12th century - and they barely survived. 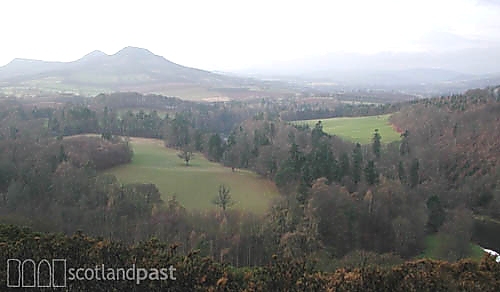 King David I (1124-1153) came to the throne of Scotland with a vision of a new model nation. He was close friends with his brother-in-law, King Henry I, and he desired to create a lasting peace with his southerly neighbour. In England David had seen the positive social effects of a dominant Church presence - so his ambitions came together in the creation of large influential religious houses in Scotland. So the location of the Border Abbeys was no accident. They were to be large, to demonstrate the power and wealth of Scotland. They were to be close to England; to demonstrate the strength of goodwill and Godliness of the two nations. But it didn't work like that. The abbeys very quickly excelled as beacons of prayer and symbols of nationhood, but as the years went by and relations with England soured, they became easy targets for military attack and punitive raiding. Each of the four houses were fired and damaged many times between the 1290s and 1550s. As the risk of death and price of rebuilding increased, so the recruitment of monks decreased. It was traditional for the upper classes to donate lands and money to the Church. Some of the inhabitants of the Border Abbeys, living now in splendour instead of monkish austerity, led lifestyles far removed from the intentions of their ancestors. Inevitably, tensions increased - and the Reformation came in 1560. What remained of the beacons of prayer in the Borders died out soon after, although all but Dryburgh remained in use by the reformed faith. The lead and masonry of the abbey complexes were stolen to build new secular buildings, and the ruins gradually decayed. The monuments are all in the care of Historic Scotland and are open to visitors all year round.